Fundraiser by Stephanie Vera : Don't Mourn, Organize! 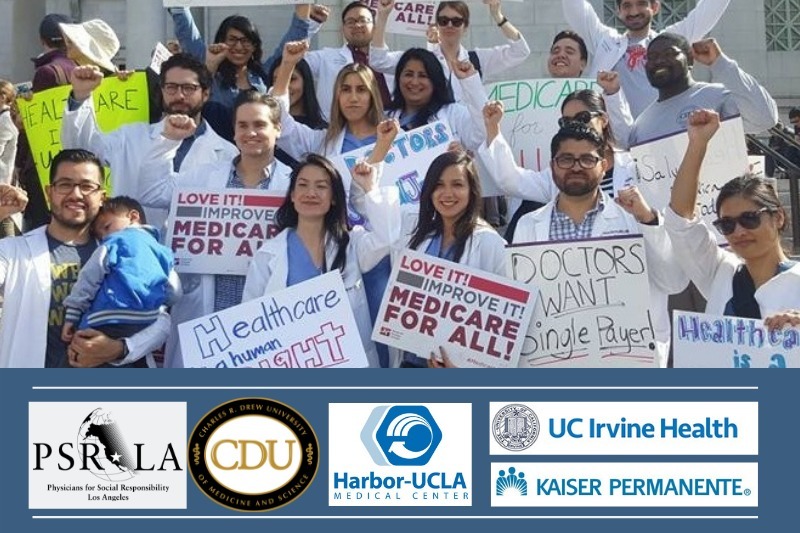 Physicians for Social Responsibility-Los Angeles alongside our partners at Charles Drew University of Medicine and Science, UCLA Geffen School of Medicine, UC Irvine School of Medicine, Keck School of Medicine of USC, Kaiser Permanente, and California Hospital will be hosting a collaborative advocacy and organizing training event on November 4, 2018 on the David Geffen School of Medicine at UCLA campus. In order to keep this event free of cost to attendees and continue our collective effort to support effective advocacy trainings in the future, we kindly ask you to consider donating to our efforts. Your generous donation will help us cover the costs of the venue, technical equipment, speaker presentation materials, attendee writing materials, and food and refreshments. With your support, we hope to continue providing these community-led education and training events for medical professionals as well as the broader community! Please note that no attendee will be turned away for lack of funds, as this event is meant to be an inclusive space where engaged individuals will gather and learn actionable skills to become politically and socially engaged in their communities. If you have the means, please consider donating and help us reach our goal!